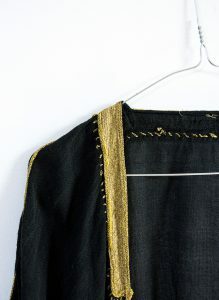 A Bisht is an overcoat for men worn with festive occasions. 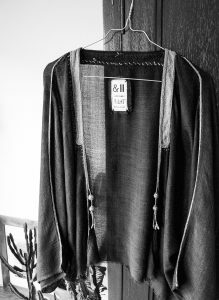 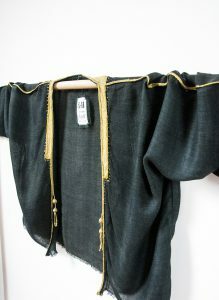 I adjusted this vintage bisht (from origin long dark overcoat) Into a short jacket/kimono shaped top. 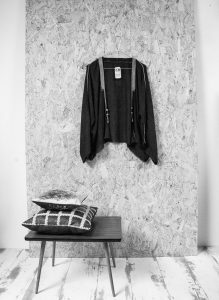 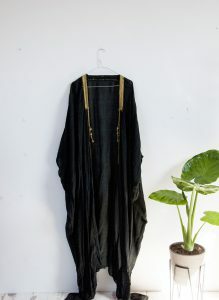 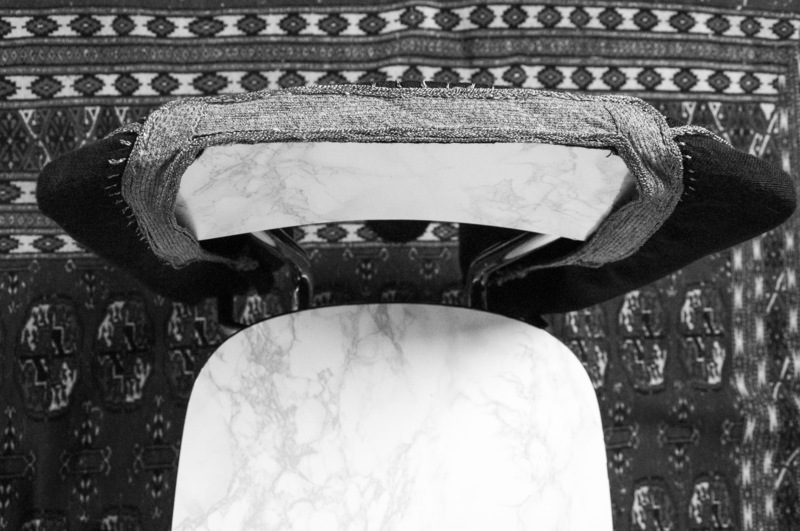 Looks gorgeous worn with a high waist denim or a classic 501 jean. The nice golden details are kept original and handmade. 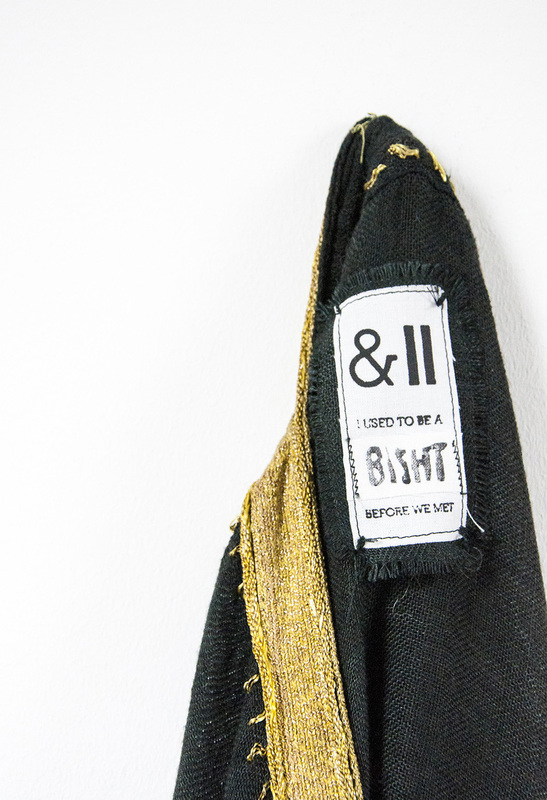 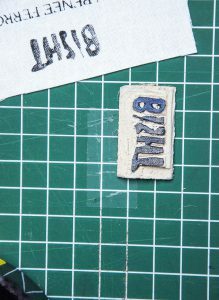 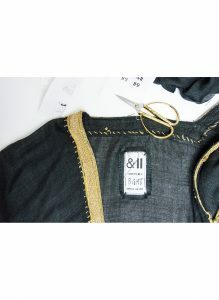 Andpause labelling is attached at the inside of the jacket. 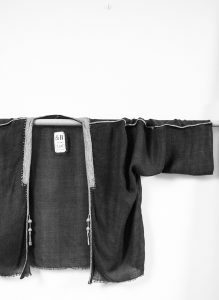 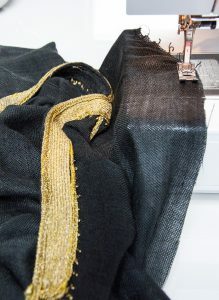 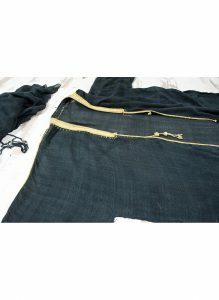 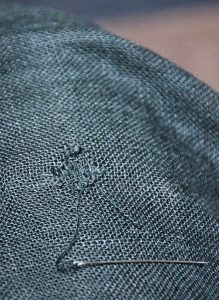 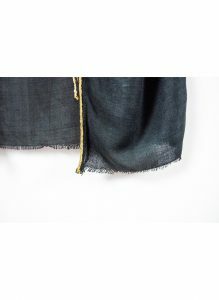 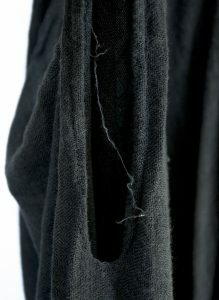 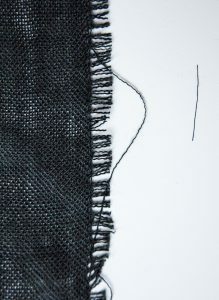 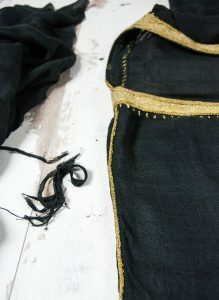 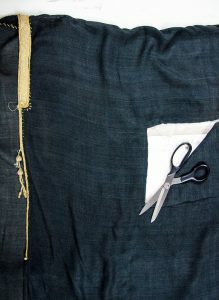 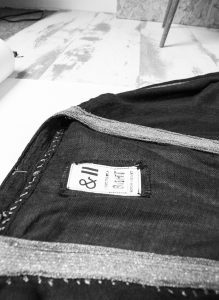 At the back side there is a nice repair detail visible and the garment is finished with a nice looking hand-frayed hem. 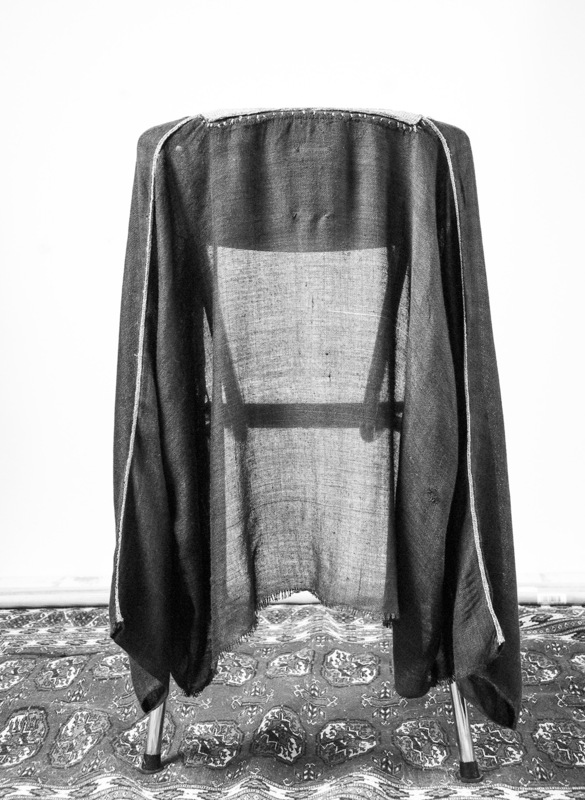 How i and the bisht met.